Toastmasters of Paris is a wheelchair-friendly club. 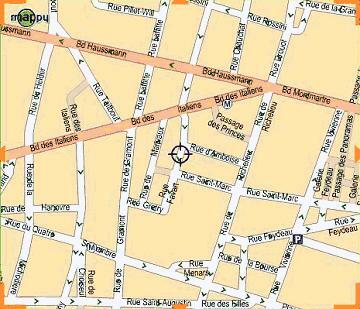 Our meeting room is wheelchair-accessible from the side entrance of the restaurant, located 14 rue Favart. However, on very rare occasions, the restaurants puts our meeting upstairs in a location which is not wheelchair accessible. If you use a wheelchair, we kindly ask you to call our sergeant-at-arms at reservation@toastmastersofparis.com so the proper confirmations can be made with the restaurant. The names "Toastmasters International," "Toastmasters," and the Toastmasters International emblem are trademarks protected in the United States, Canada, and other countries where Toastmasters Clubs exist. Unauthorized use is prohibited. Email your questions to our webmaster.